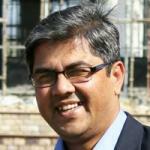 Amir Ullah Khan is a Development and Trade Economist. He also serves as advisor to the Bill and Melinda Gates Foundation and the Wadhwani Foundation. He graduated from the Institute of Rural Management in Anand and has a PhD for his work on India and IPRs from the Jamia Milia Central University in New Delhi. Amir teaches a course on Indian Economic Policy at the Indian School of Business in Hyderabad and another on International Business at Infinity Business School. He is on the Governing boards at Aequitas Research, Welhams Girls School, the Digital Empowerment Foundation, Pahle India Foundation, EandH Foundation, ACCESS ASSIST and the India China Economic Council. He has been Director at the India Development Foundation, Deputy Director General at the PHD Chamber of Commerce, Adjunct Professor of Law and Economics at the Edith Cowan University in Perth and Executive Editor at Encyclopaedia Britannica.